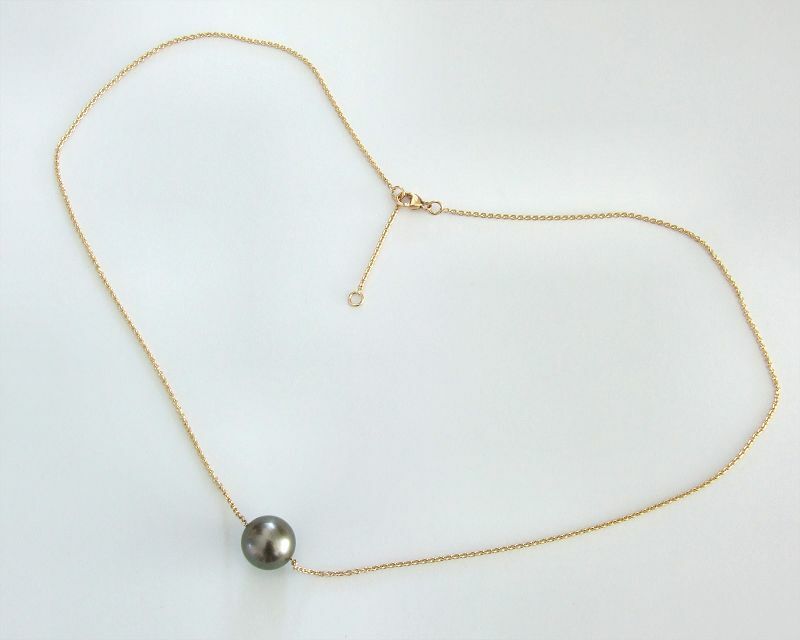 Necklace at SelecTraders: One of our bestsellers - our combination of a yellow gold necklace and a tahitian cultured pearl. The necklace has a length of 17 and 18 inches and consists of 18k yellow gold. The tahitian pearl in a size of 10.0 - 11.0mm is perfectly round with a deep iridescent grey body colour, the overtone in the surface of this AAA quality pearl shines in pink peacock green. 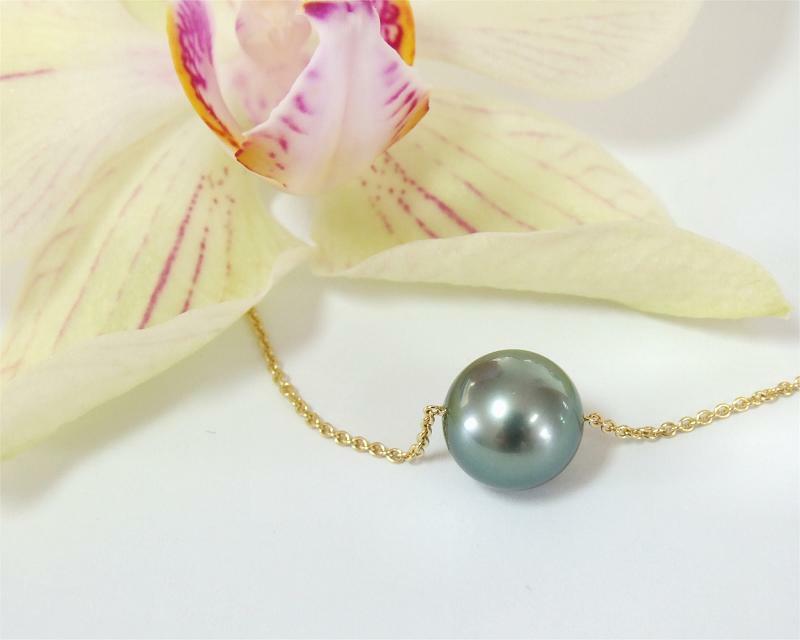 This combination of a tahitian cultured pearl and a gold necklace we have also in white gold: Pearl Pendant Faro. Please see details below. - Availability: in Stock. Usually ships within 1 business day.